At Brent Security Services, we can transform your security needs into reality. 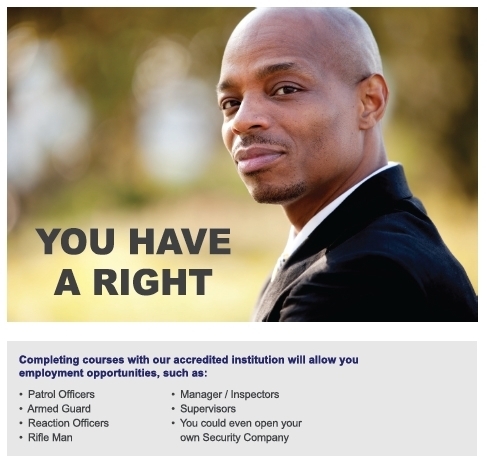 We have gun training solutions for a broad spectrum of Physical Security needs including personal security, recreation, commercial guard force and the private sector business. There is a direct relationship between the quality and the quantity of Firearms Training and the ability of proactively avert any challengers, and to effectively respond to dangerous events. 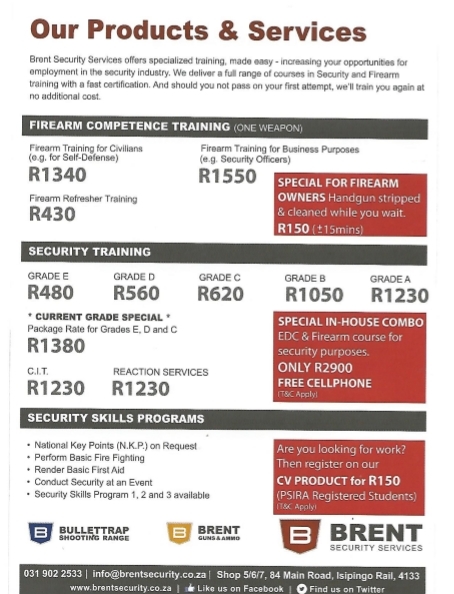 Other security training services we provide is guard force Training and Development, action planning, security awareness and firearms safety via various Security Grades and Firearms Unit Standards. Whether your security need is on a personal or organizational level, we provide you with the knowledge, skills and awareness to get the job done. All our Training is registered and accredited with the various relevant controlling Bodies. We also further provide on-going refreshers maintenance and enhancement of acquired skills in the Firearms and Security environment.